We were sitting outside at the Augustiner an Gendarmmarkt in the heart of Berlin wrapping up our dinner when a gentleman at the next table suggested we make a trip out of the city to see the German Luftwaffe Museum. He could tell from our conversation that we were on a World War II-themed trip, and he suggested the museum would be of interest. Plus, he turned out to be the director. 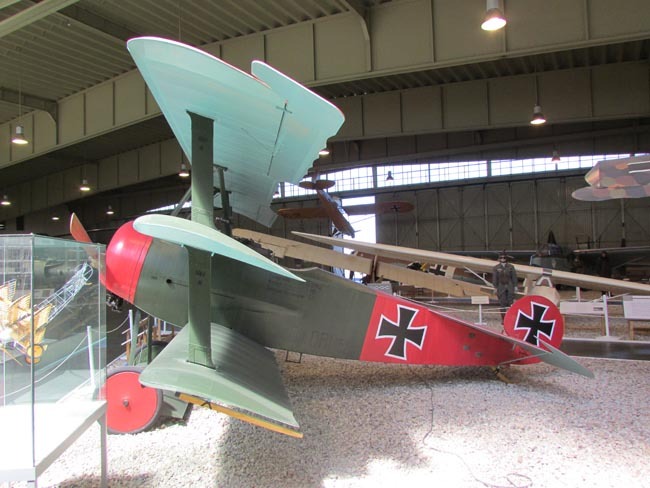 The next day, a hot and bright one by German standards, we drove out of Berlin to the suburb of Gatow, where a sprawling airfield holds more than 125 aircraft from all periods of German aviation. Highlights include several helicopters used during the Cold War by East German forces, MiG fighters and a replica of the triplane flown by Manfred Freiherr von Richthofen, also known as the ‘Red Baron.’ Parts of a massive V-2 rocket from the end of the war are also on display, plus much more. The museum is near Potsdam. 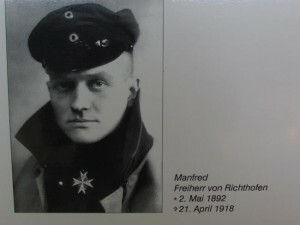 Posted in Germany Tours and tagged airport, baron, gatow, german, luftwaffe, museum, red, v2.